This entry was posted on November 20, 2009 by Avel Ureño. The holiday season is just around the corner, bringing along with it the chance to reconnect with family, catch up with friends and eat copious amounts of questionably prepared food. As well as giving us the opportunity to get drunk in front of our in-laws, the holidays also come with great sales. Pretty much everything you want will be on sale at some point between Thanksgiving and Christmas so why not take advantage of it! But what to buy, there are so many things to choose from, all shiny and new. How are we to know the best price, the best product and which are the ones that will leave us with the bitter aftertaste of Buyers Remorse. We’ve taken a stab here at compiling some of the more popular items that you might be looking at while out and about, drawn across from various sources across the web for your convenience. Of course a lot of these actual rankings are purely subjective (for instance if you have tiny square fingertips you might like the iPhone keyboard more than I do) but they do at least provide some means of comparison. The good folks over at Rumor Gadget have compiled a list of the top 10 smartphones on the market at the moment. Though obviously what you can get will depend a lot on your current carrier and how trapped you are in your current plan (ironically enough the follow up call from AT&T on my complaint got dropped). 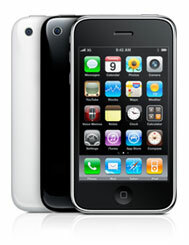 But it seems the overwhelming favorite this year is the iPhone 3GS, the sleek design, slick marketing and simple UI have combined to make Apples iPhone a standout hit. Not everyone wants or needs the often bewildering array of functions that a smartphone is capable of. Thankfully they still actually make phones that are mainly used to make calls (and send texts of course) but smaller and simpler is often better ! 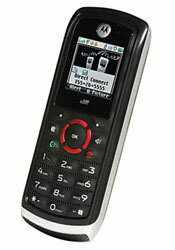 CNET.com has put together a nice listing of what they consider the best of the basic cell phone options. They put the Motorola i335 at the top of their list, citing its benefits as a low cost, easy to use and rugged platform with good audio quality. 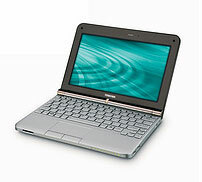 Netbooks are light, small, portable and not exactly dripping with processing or graphics power. But if all you want is basic computing on the fly then they are an outstanding option. A Netbook is also great value, the top rated Toshiba NB205-N310 (by PCWorld) Netbook we feature here is currently retailing at around $380 or so. A common problem with netbooks is a keyboard so cramped you feel it could only be used properly by a small woodland creature. But the NB205-N310 has a fairly roomy keyboard for a netbook, almost the same as a standard laptop keyboard. Cameras are brilliant, but on the odd occasion you’re either giving one as a gift or you’re trying to take a photo somewhere you don’t want to take an expensive one. Thanks to the ever reliable onward march of technology you can now get a fairly serviceable digital camera for under a hundred dollars. The good people from About.com have come up with a list of cameras they consider to be the best of this ultra low price range. The camera that they put at the top of the list for this product was the PowerShot A470 by Canon. For the price it’s fairly sturdy and takes a passable photo, and if you drop it over the edge of the Grand Canyon you won’t be too far out of pocket.